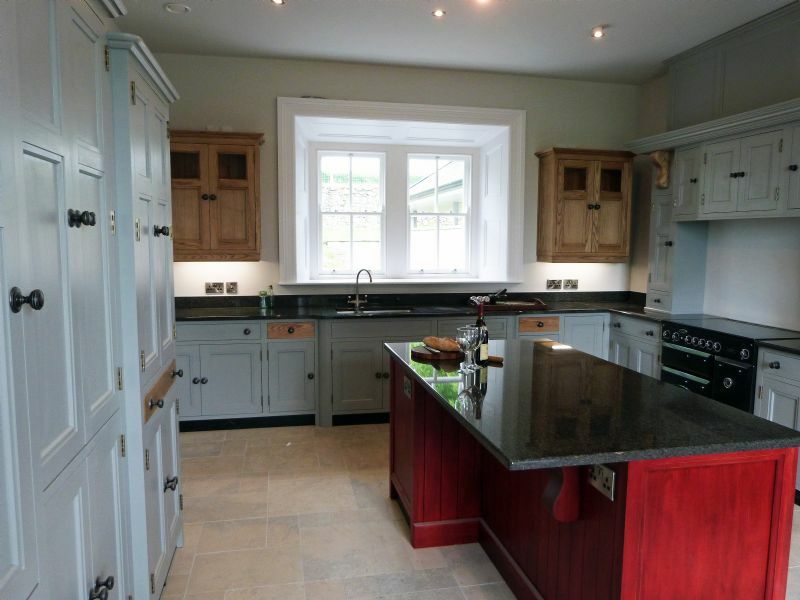 Colin went to a lot of effort to restore this listed building to reflect its original heritage in a contemporary way. 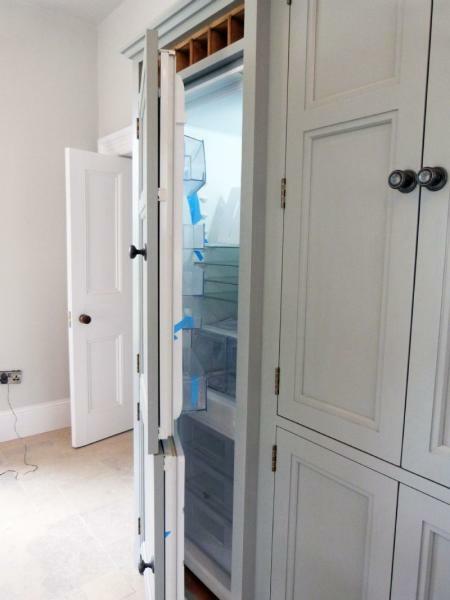 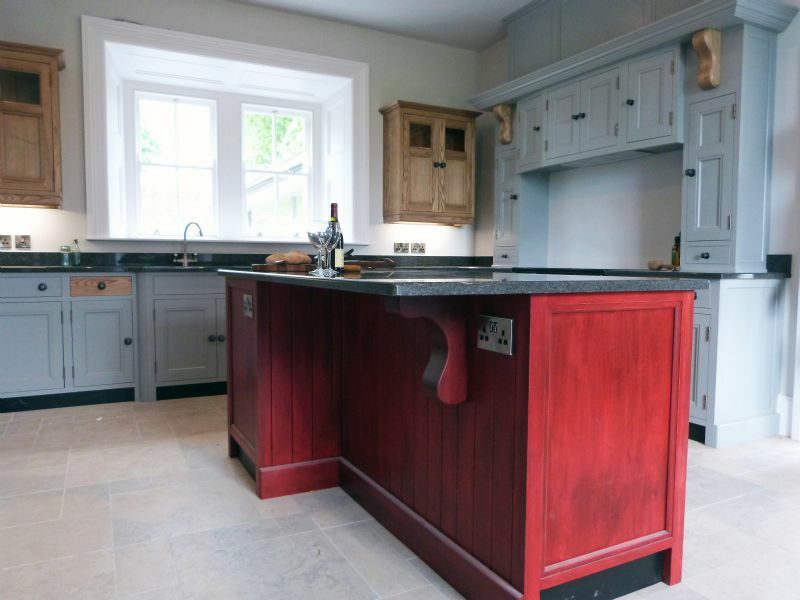 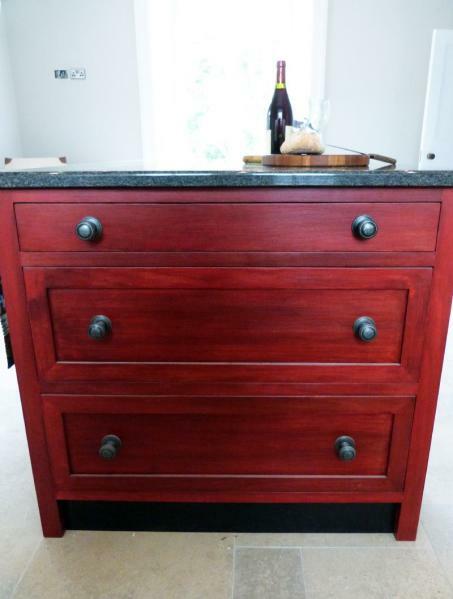 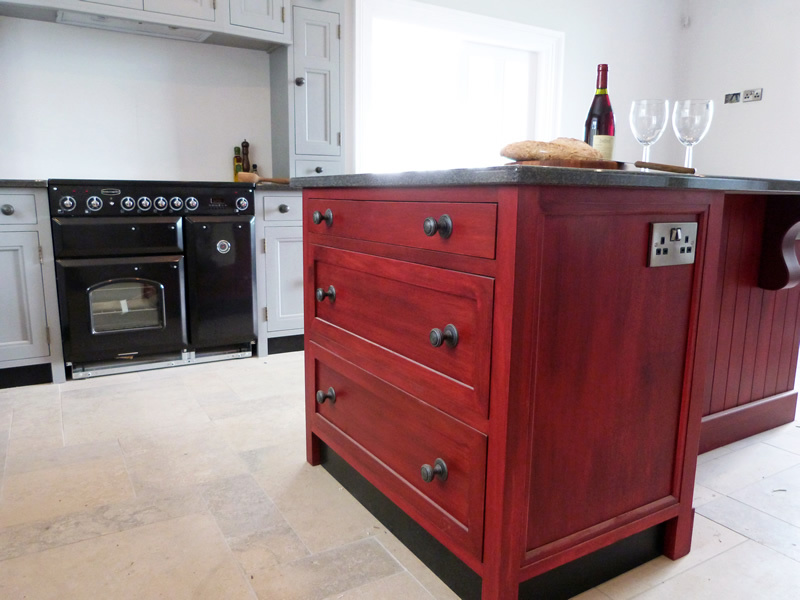 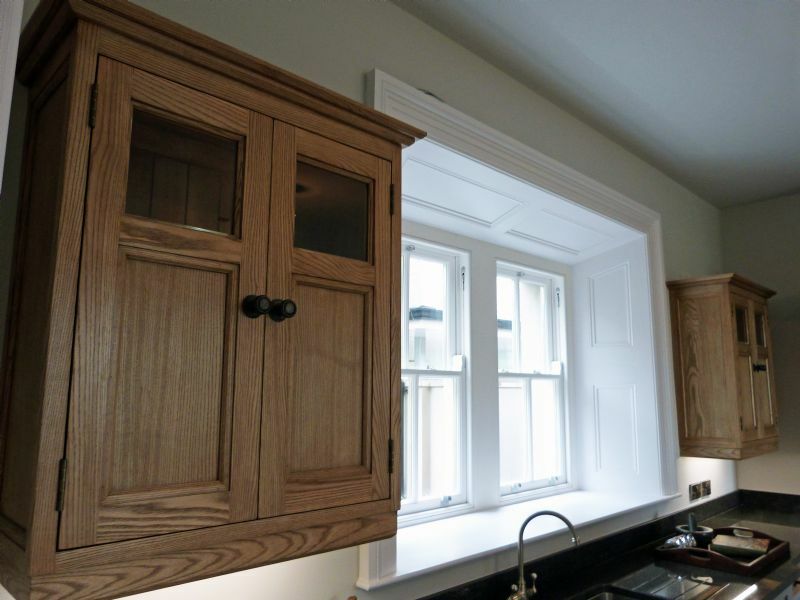 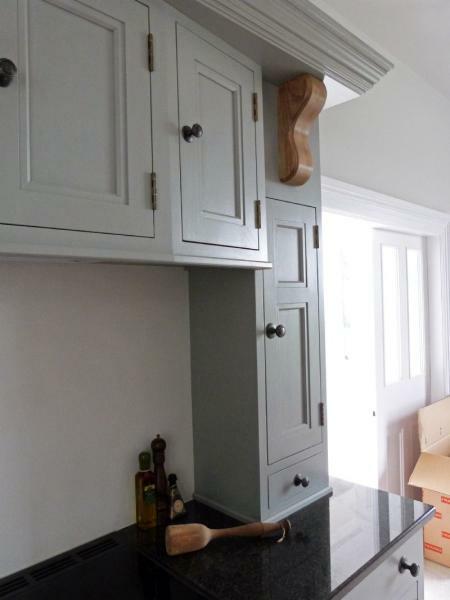 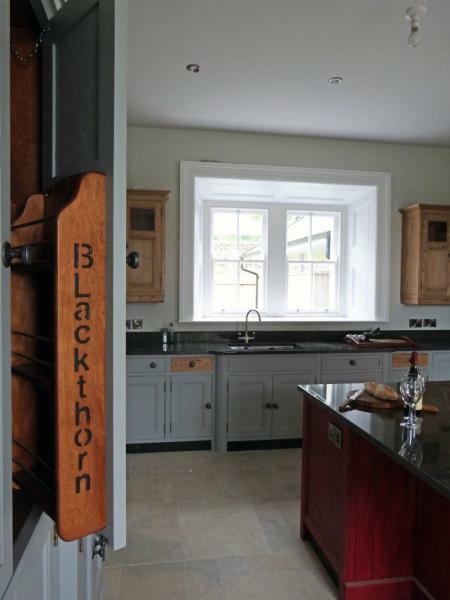 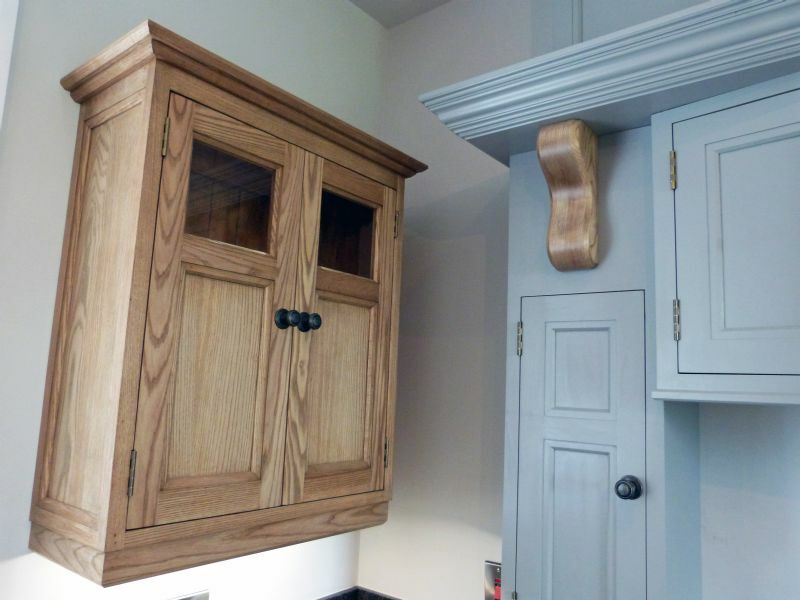 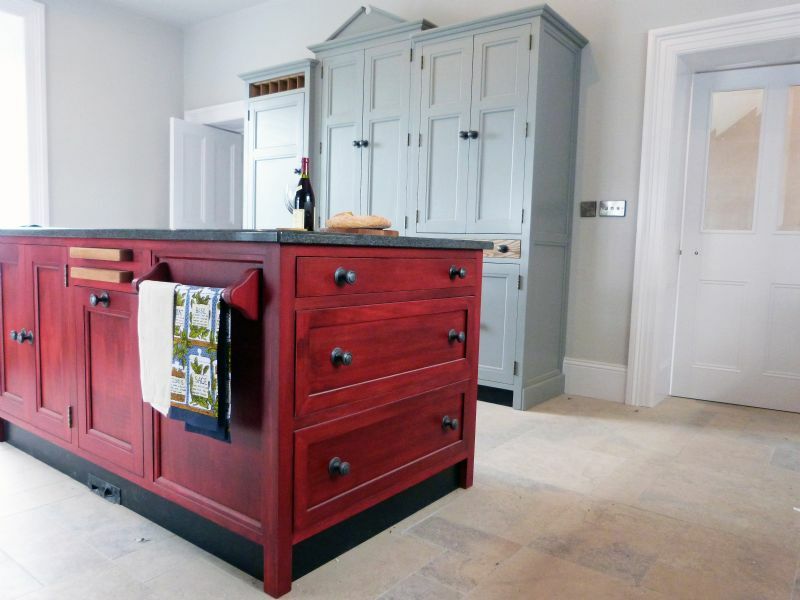 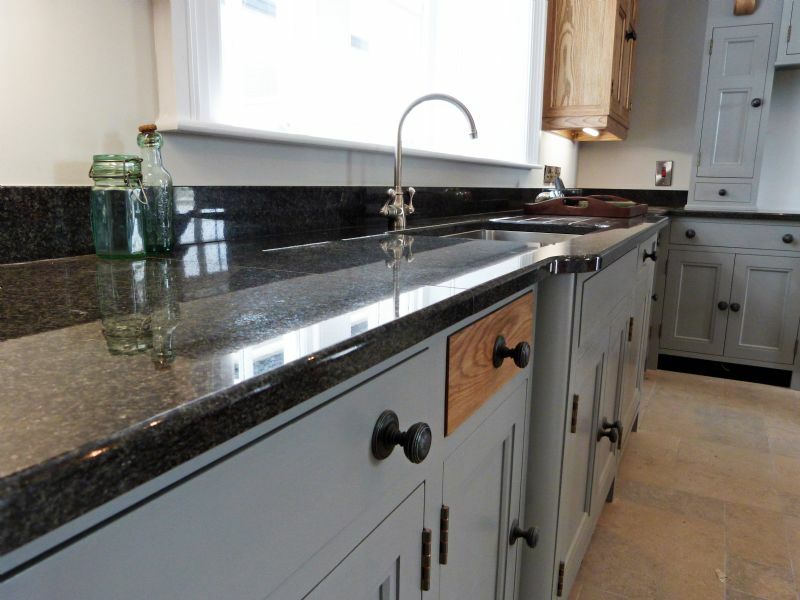 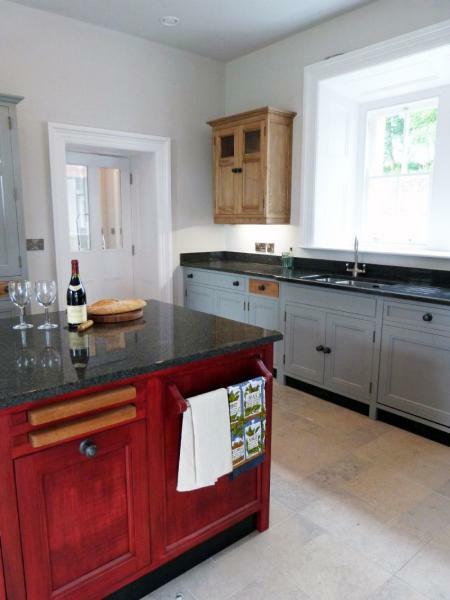 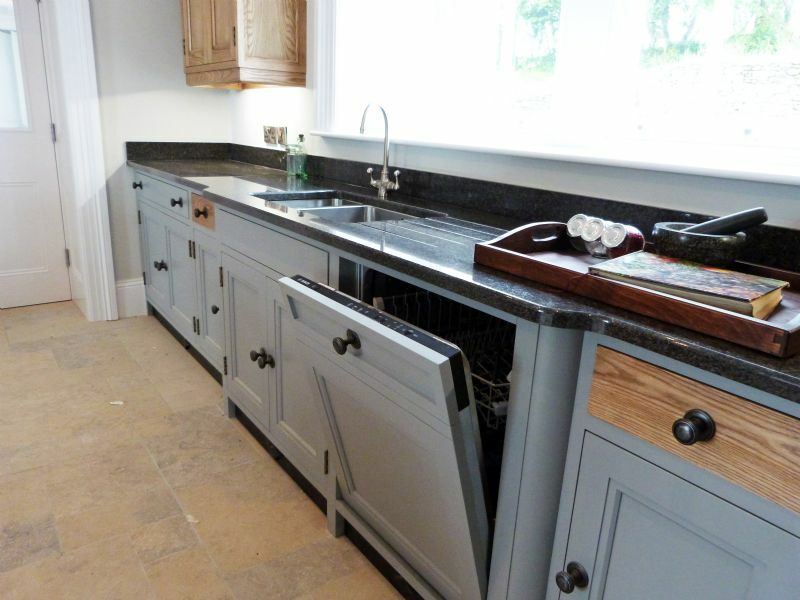 With this in mind we designed and built the kitchen with clean lines and period features (like the broken pediment above the larder) and finished it with a mixed palette of bold and subtle colours. 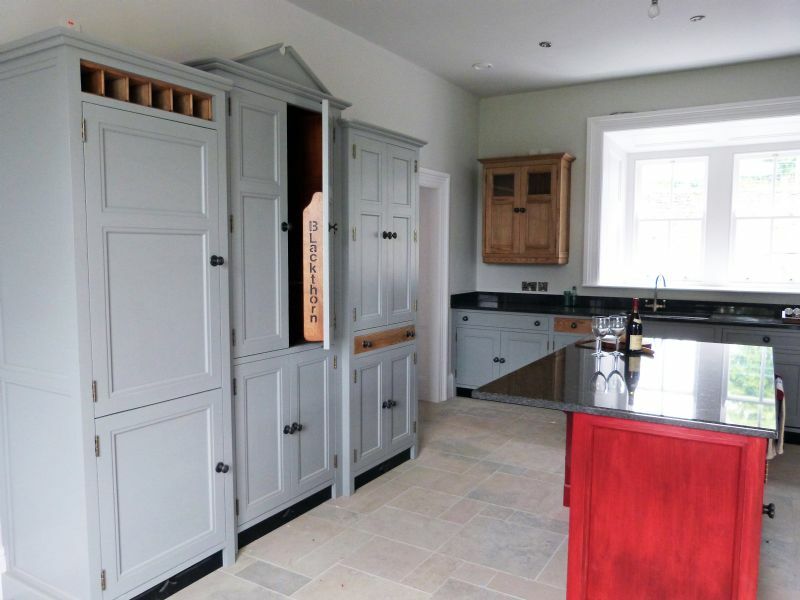 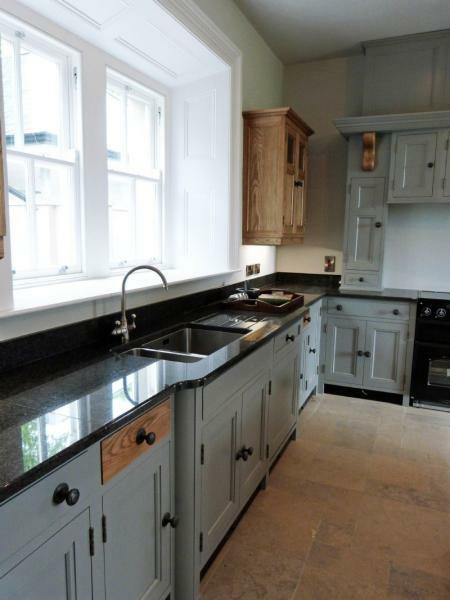 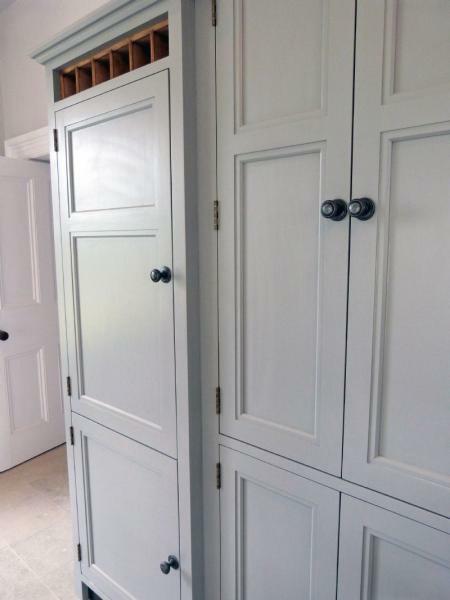 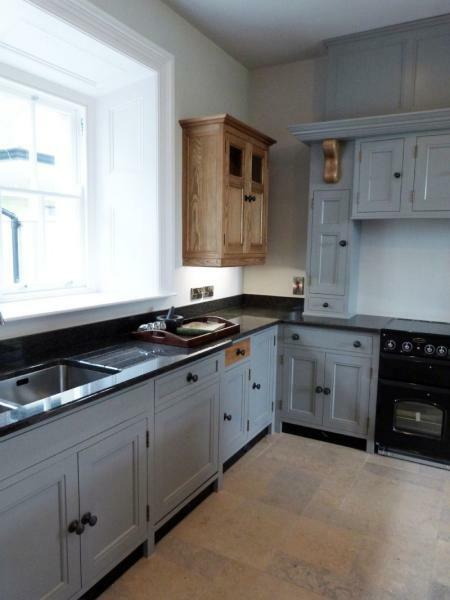 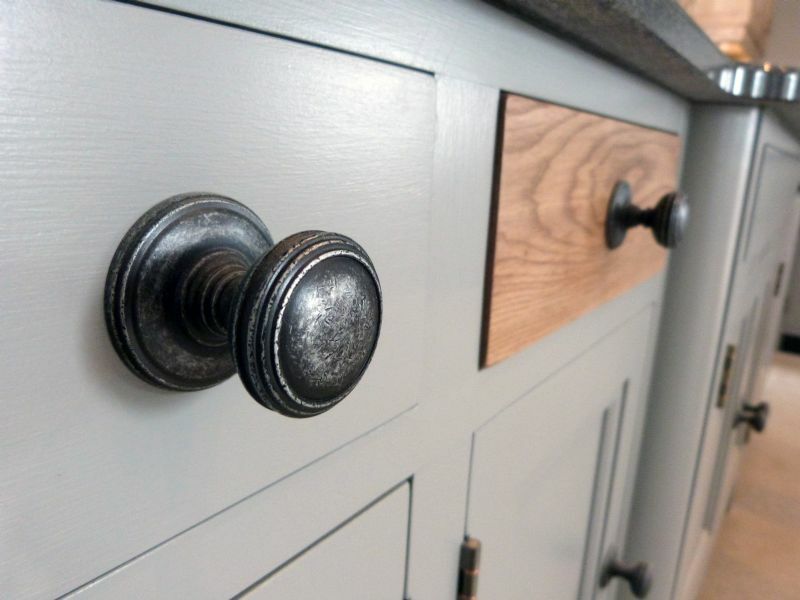 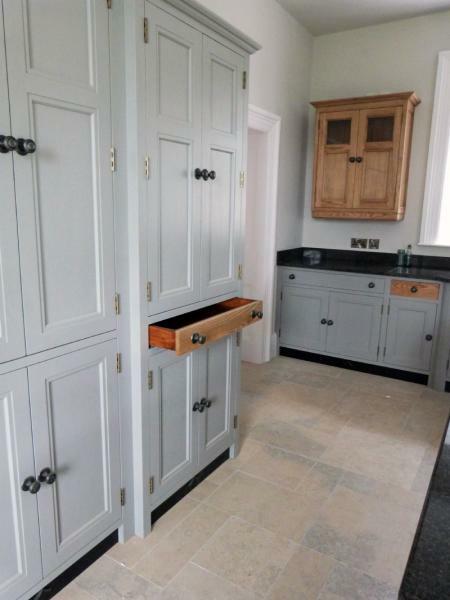 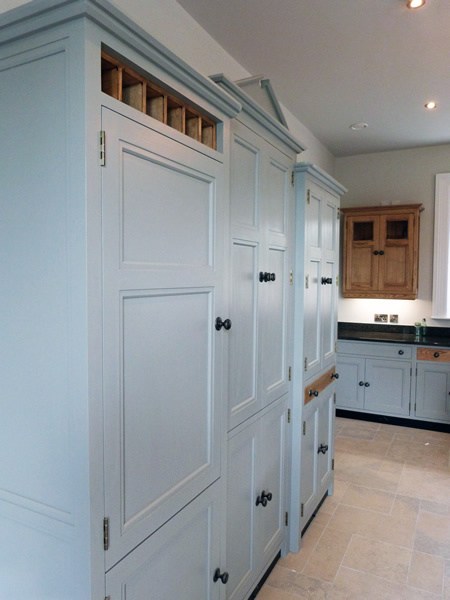 Grain-enhanced Ash has been used for the part-glazed wall cabinets and punctuates the muted tones of Farrow & Ball's 'Manor House Gray' throughout the rest of the kitchen.